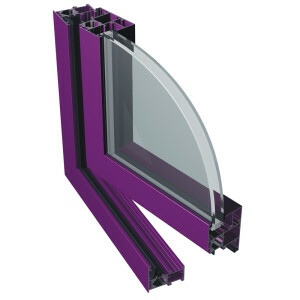 PONZIO PE 52 :: SIA "AMP Sistēmas"
The three-chamber system, design with a groove profiles ferrule in “euro” standard and the groove ferrule used in windows and window doors with PVC profiles. The structural depth of the frame is 52 mm and 60 mm for the wings. The system allows using a wide range of hardware and ease to work. Three-chamber profile provides the element with higher stiffness, thus the construction may be of larger size. Furniture Renowned companies only: Fapim, Savio, Iseo, Cisa, Hautau, Geze, KFV, etc.